Mr. Polsenberg is a partner in Lewis Roca Rothgerber's Appellate practice group. Based in Las Vegas, Mr. Polsenberg also frequently works out of the Reno office. Mr. Polsenberg is the attorney to see for a big appeal. 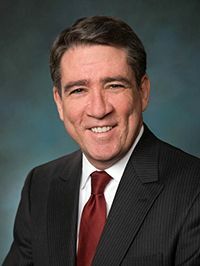 Past President of the State Bar of Nevada, he is the first Nevadan named a Fellow of the prestigious American Academy of Appellate Lawyers. He has argued over 190 appeals and has written briefs in hundreds more. Mr. Polsenberg was previously with Beckley Singleton, which partnered with Lewis and Roca in 2007. Mr. Polsenberg joined Beckley Singleton in 1985 to be part of the firm's appellate unit, the first in the state. A frequent speaker on appellate and civil practice, Mr. Polsenberg also acts as a consultant on appeals handled by other firms. He has worked on cases before the United States Supreme Court and is admitted to practice in many of the Circuits of the United States Courts of Appeal.